Subodh Kerkar is using art to spread awareness on the menace of litter in Goa. Panjim, Goa: The way the world is, Gandhian values are never going to lose their contemporary importance. When University College London invited the Goa-based artist Subodh Kerkar to give a talk on reclaiming Mahatma Gandhi through the arts, he decided to prepare himself by dropping those elements of his lifestyle – smoking and drinking – that were decidedly un-Gandhian. It helped that he had just commemorated Gandhi’s first satyagraha in Champaran by creating an installation, ‘Carpet of Joy’, as an artistic protest against plastic litter in his home state. Gandhi’s satyagraha in the Champaran district of Bihar began on April 10, 1917, to protest the pathetic condition of farmers reeling under the violent burden of British colonial rule. 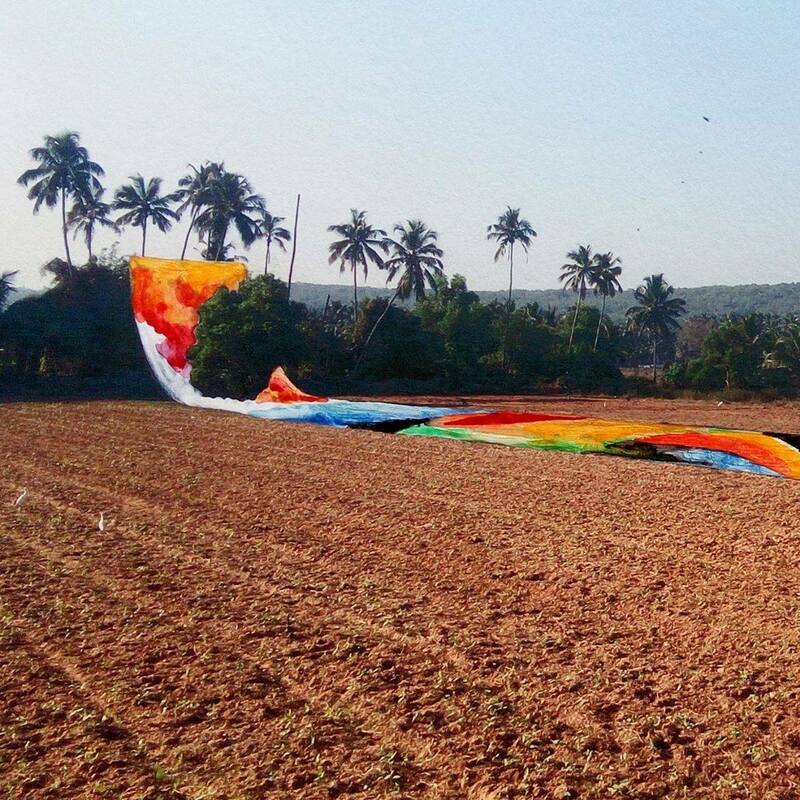 When Kerkar sought to recreate the spirit of that iconic protest through art, he turned to what he calls the most visible ‘act of violence’ in Goa – the littering of its sandy beaches and verdant slopes with plastic. It’s a nightmare for the state, which enjoys the top position on the human development index, to deal with litter leftover by milling tourists. “If Gandhi were alive, he would do the same; littering plastic suffocates the earth,” says the artist who created a spectacular installation using 1,50,000 discarded plastic bottles collected from beaches and hotels in Goa to weave a carpet. His is a unique exploration, turning suffocating elements like plastic into a joyous object. His endeavour to help Goa become litter-free began when he met Israeli artist Uri De Beer, well known for his art installation ‘Plastiflora’. While Beer’s ‘Plastiflora’ is made on a small scale, Kerkar uses large spaces of a Goan village, next to the main road so that tourists and locals feel curious, stop by and get the message. The vibrantly colourful distraction is a strong communication device. The installation is serving its purpose, people stop by in thousands to click pictures of the carpet covering the fields. A podium is created alongside the installation for taking an ‘anti-litter’ oath, as soon as a hand is raised, a sound is heard – ‘I shall not litter’. Kerkar says even the educated and rich do not feel shy of littering, thus making the involvement of children crucial to the project. Children were a part of creation of the Carpet of Joy – from the collection of bottles to colouring and creating flowers out of the littered bottles. Many hotels gave their litter happily for the project, while a lot of the rest came through the spontaneous support of the people of Goa. About 1,500 litres of paint was used to paint all of the 1,50,000 bottles. To cut them into flower-like shapes, each child was given 15-20 bottles and a pair of scissors. Despite being close to exam time in schools, the involvement of school children gave this art work a different dimension. Children became stakeholders in taking the campaign forward. The local panchayat of Sailgao circle came forward to lend its land for the art installation, which will remain on display for two months. Three ministers came for its inauguration on April 10, because although Goa is known for its pristine coastlines, rolling hills and varying species of marine, plant and animal life, the ecological haven is under serious threat due to the piling up of plastic waste on its beaches and cities. The huge plastic carpet covering a sizeable chunk of land stands on a plastic net that spreads under the flowers; the holes on the net are fixed with the opening of the bottles. NGOs, corporates and locals offered Kerkar support in his campaign to rid Goa of its biggest menace: insensitive tourist who leaves behind plastic waste. “Tourists do not own the land here, we own it and its our responsibility to protect it from any ecological disaster,” said an eminent denizen of Goa. The effort to educate the masses does not end with an art installation; Kerkar has started taking out prabhat pheris to spread the message. His other Gandhian venture is the creation of a virtual island with 50 sculptures of Gandhi, collected from all over the world. The ‘Carpet of Joy’ will be on display till the end of May.